Welcome to Parent's Corner, where you will find helpful information about our standards, processes and policies. For additional information or questions, reach out to us any time at info@darienafterschool.com or 888.212.3837, ext. 801. In Case of Emergency: A First Aid, CPR, Epi-Pen, and Automated External Defibrillator trained Site Director is onsite during Darien After School programs. Registration, Schedule and Fees: Darien After School offers three sessions each school year: Fall (end of September to December break), Winter (mid January to April break) and Spring (immediately following April break to end of school). Schedules are posted two months prior to the start of classes; registration begins one month prior to the start of classes. 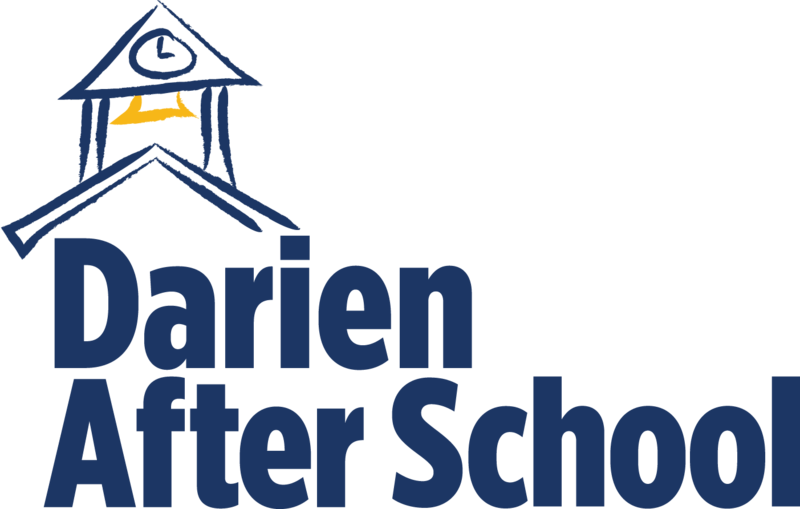 Scholarships: Together Darien After School and your school offer scholarships for programs at your school. Parents may contact their school secretary for more information. Student Support Aides: Darien After School can arrange support aides to accompany your child during our program upon request. We will bill families $25/class hour to cover the cost of the aide. 100% of fees paid by families go directly to the aide. Class Size: All classes require a minimum of 8 children to run. The maximum is set by the instructor, on a per class basis. Wait List: If a class is full, you can enroll your child on our wait list on the registration page. Registration requests will be processed in the order they are received on the registration page. All efforts will be made to place a child in the class, and if they are not accommodated, they will have priority enrollment before the start of registration the next session that class is held. Class Changes/ Late Registrations: Changes are free up until the end of general registration. After general registration is closed, a $25 change fee will apply. A 10$ late fee is applied to enrollments after the close of general registration. Cancellations and Refunds: Full refund, less a $25 processing fee, up to the end of general registration. From the end of general registration until the third class, a 50% refund will be given. No refunds given after the third class meeting. Full refund for classes cancelled due to low enrollment. Refunds processed within 3 weeks and applied to the payment method used for initial registration. Prorating: Class fees are prorated after the first class meets, a $10 administrative fee applies. To help minimize school day interruptions, same day enrollments are not permitted. Enrollments received on the day a class is scheduled to meet, will start the following week. Pick-up/ Walkers: Pick-up is in person at the end of class in your school's designated pick-up time and area. Children are not allowed to walk unattended in the school parking lot. If you prefer your child walk home from their program, a signed permission slip is required. Email info@darienafterschool.com for more information. Late Pick-Up: Prompt pick up is greatly appreciated as our site directors have committments after their time with us. Darien After School may charge parents of children who are picked up late $5 per 10 minutes of late time. Repeat occurrences may result in the student’s removal from the program. Weather Delay/ Cancellation: If there is a delayed opening, early dismissal or school cancellation, Darien After School classes will not be held. No make-ups or refunds for weather related cancellations. Substitutions: When presented with instructor changes or space challenges, we will make every effort to hold class, even if it requires a substitute teacher or adjusting the class activity. We appreciate your understanding and support in advance. Code of Conduct: To ensure all children enjoy their program, students are expected to abide by school day policies and behave in a non-disruptive manner while participating in Darien After School activities. Should a student not abide by the school's code of conduct, we will call parents or guardians. If the behavior continues, the student will skip one class meeting. Upon return, If behavior has not changed, the student will be removed from the program per the discretion of Darien After School instructors or managers. Refunds are not provided for situations relating to student's behavior. Cell Phone/ Technology Policy: In order for all students and instructors to enjoy their after school program time, cell phone/ tablet/ personal computer use is not permitted during class time. Student Allergies: Darien After School, LLC, its officers and associates do not have access to medical information provided by parents to Darien Public Schools or access to medication(s) stored with the school nurse. If your child has an allergy, or other medical concern, you must let us know when registering for a class or event. See Allergies tab above, or click here: Allergy Form, for details. Special Needs: Our instructors and vendors are skilled at working with a variety of students. Please note any special needs in the registration process under medical information, or contact us at info@yourafterschool.com. We are committed to providing enrichment activities for all students and making reasonable accommodations when needed. Student Support Aides: Darien After School can arrange support aides to accompany your child during the after school program upon request. We will bill families $25/class hour to cover the cost of the aide. 100% of fees paid by families go directly to the support aide. Concerns: Should you ever have a concern about your child's experience, please contact us at 888.212.3837, or info@darienafterschool.com. We ask that if you want to sit in and observe a class that you reach out to us first. Snacks: Due to the number of children with serious food allergies, Darien After School has adopted a no-snack policy at all schools. Terms and Conditions, Medical Consent and Town of Darien, and Darien Board of Education Acknowledgement and waiver - All registrations require acceptance at registration and prior to participation. I /We affirm that I am/We are the parent(s) or the Legal Guardian(s) of this applicant, and have the requisite authority and right to execute this waiver and consent form without any other person or third party’s additional consent or approval. I/We acknowledge that Darien After School, LLC (the “Company”) is a separate entity from Darien Public Schools. I/We hereby give permission for my/our child to participate in an after school program run by the Company (the “Program”) during the 2018-2019 school year during “Program Hours” including but not limited to, one hour before school starts and/ or one hour after school dismissal. I/we understand and acknowledge that the Company is fully responsible for all aspects of the Program, and that the Company will be providing care and supervision of all of the students in the Program, including my/our child, during Program Hours. I/We understand that the Company does not provide any accident or health insurance for participants in the Program and that it is my/our responsibility to provide such coverage. I/We understand that the Company is not responsible for any personal property lost, damages or stolen while my/our child is participating in the Program. I/We understand and acknowledge further that the Darien Board of Education and the Town of Darien are not responsible for any aspect of the Program, including without limitation the care and supervision of participants in the Program during Program Hours. I/We acknowledge and affirm that the Darien Board of Education and the Town of Darien are not responsible for any aspect of the Program, including without limitation, the care and supervision of the participants in the Program during Program Hours, and I/we agree to release and hold harmless the Town of Darien and the Darien Board of Education, their members, agents, officers, employees, representatives and volunteers, from any and all liability, claims, suits, demands, judgments, costs, interest and expense (including attorneys’ fees and costs) for any loss, damage or injury, including that caused by negligence, that may occur during the Program. I/We certify that to the best of our knowledge my/our child is physically able to participate in all parts of the Program. I/We understand that I/we will be notified in the case of a medical emergency. If my/our child has any allergies or other conditions, I/we have disclosed such conditions to the Company on their Allergy and Other Conditions Disclosure and Waiver Form. In the event of illness or injury to my/our child, and I/we am unable to be so contacted, then in the case of sickness or accident, I/we hereby give my/our permission to the Company employees, contractors and/or medical personnel selected by the Company to give necessary first aid/CPR to my/our child and to otherwise order or preform any medical attention deemed necessary and authorize the person in charge to obtain and consent to, on my/our behalf, whatever medical treatment, emergency transportation, and hospital care is deemed necessary or advisable by such persons for the wellbeing of my/our child. I understand that the Company is not responsible for any medical expenses incurred during an emergency and accept financial responsibility for all such medical treatment given my/our child. I/We, on behalf of ourselves, our family, heirs, personal representative(s), and/or assigns, acknowledge and agree that my/our child’s participation in the Program may result in minor injuries, major injuries or serious injuries, including permanent disability and death, and severe social and economic losses which might result not only from my/our child’s own actions, inactions, or negligence, but the actions, inactions or negligence of others, the rules of play, or the conditions of the premises or of any equipment used, and that safety rules and regulations do not prevent all injuries. I/We do hereby, on behalf of ourselves, our family, heirs, personal representative(s) and/or assigns, waive, release, absolve, indemnify, and agree to hold harmless the Company, its members, employees, agents, the organizers, sponsors, supervisors, and participants for any claim arising out of any injury to my/our child, whether the result of negligence or for any cause. I/We understand that I/we are releasing claims and giving up substantial rights, including my/our right to sue, and are doing so voluntarily.